Part of the solution? Part of the problem? Or part of the landscape? 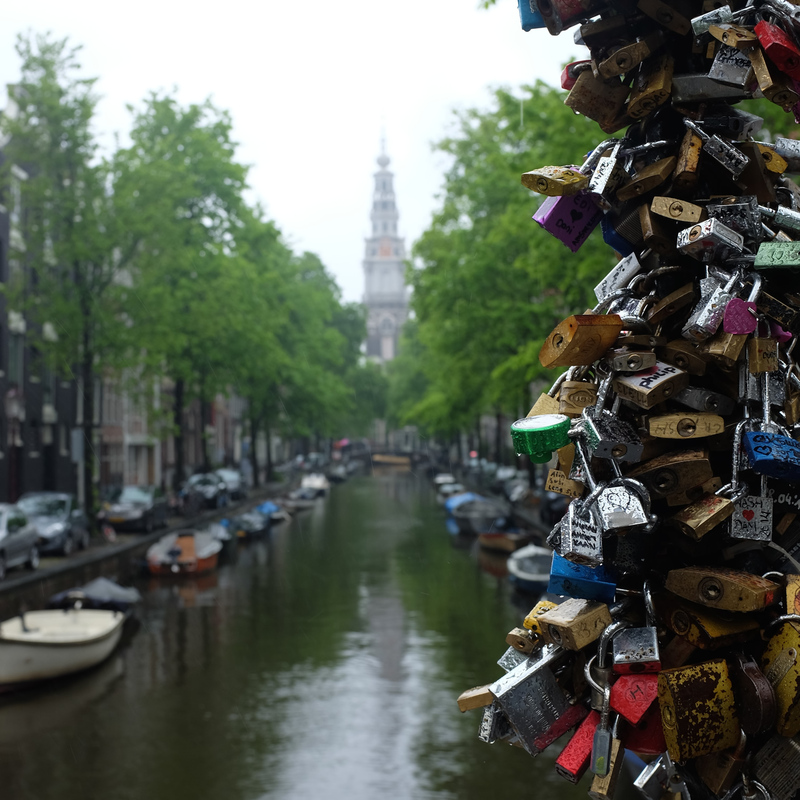 We visited Amsterdam recently and found these “love locks” on a bridge near Zuiderkerk. If I’m honest, I took the photo without my glasses on. I tried to focus on the locks and only realised how good the photo had come out when I got back to the hotel later. I love the detail on the locks – the engravings and the raindrops. I hate how mankind is systematically trashing our planet. But, conversely, I find small acts of “vandalism” like this really attractive and intriguing. I’m not sure why – I just do. I think it’s something to do with viewing art as being man’s interaction with the landscape – how he affects his surroundings. Or indeed vice-versa. How the landscape affects and changes him. I suppose this has been going on for centuries and only now is it starting to get out of hand. The locals in Amsterdam seem pretty unhappy about these ‘love locks”, the problems they pose, cost of removal etc… Which is fair do’s. But their colours and their reasons to be there brightened a grey and rainy day for us.